Fashion is a weird thing, because it often pushes people to do strange things with their outfits for the sake of good looks, and we cannot help but wonder why would anyone do that? We guess that there is always the option for any piece of clothing to be comfortable and trendy in the same time, but the following pictures will show you examples of the exact opposite. Fashion disasters are a common thing, and the best case scenario is actually when the clothes lack practicality, but that’s just the beginning; trust us, things could get really bad when you blindly follow the fashion trends or you just want to look different than the masses. 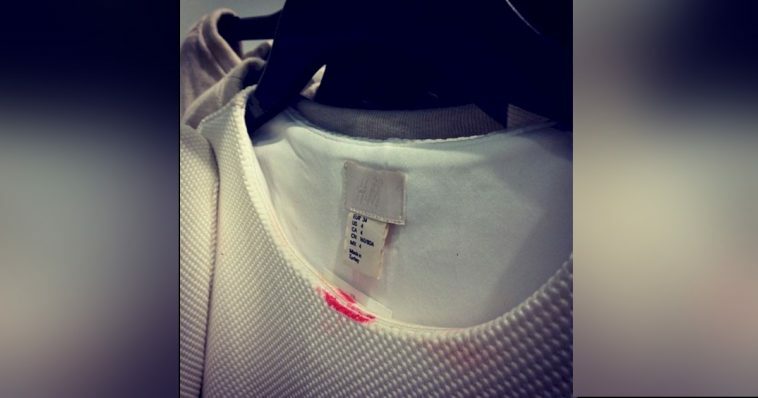 These images will remind you to reconsider your outfit next time you go out. Enjoy them! 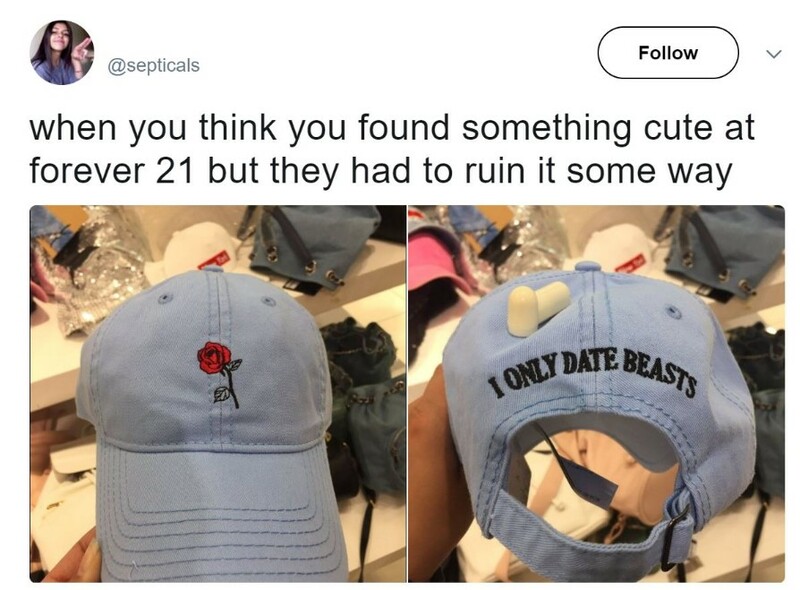 Any girl would like to have this cute hat, because the subtle little rose in the front is a very nice touch. However, the designers just had to stop there, but they decided that adding those word in the back would make it more daring, but they actually ruined the whole thing. 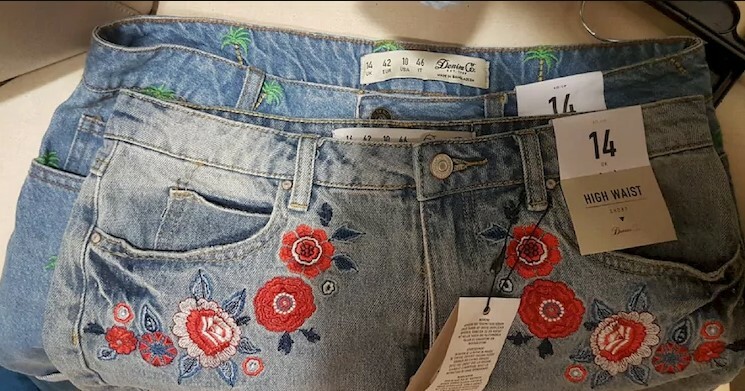 We would like to be able to get in a fashion designer’s head for just a few minutes and take a look around; this may give the answer why these people create the most useless clothes of accessories, like the one you see here. It is just plain ugly. Have you actually seen a pair of jeans without pockets? This would be one of the most bizarre things ever, and it apparently exists! 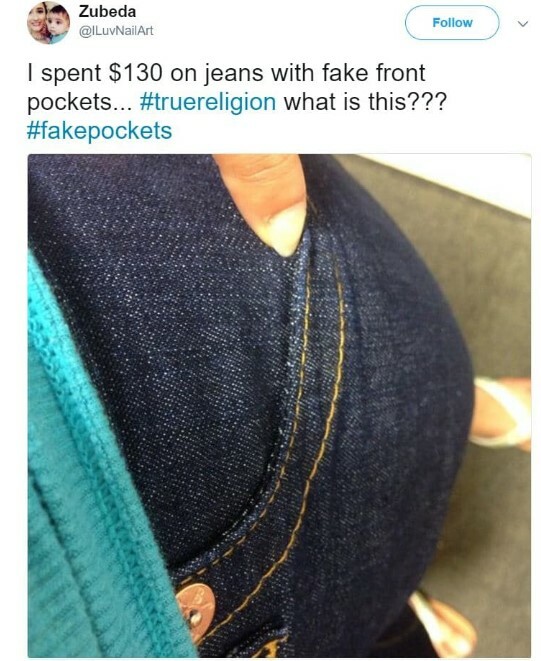 The idea for fake pockets is completely irrational, because of the most iconic everyday clothes is deprived of its functionality, and that is just wrong. 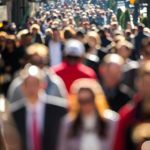 Many online vendors rely on the fact that their customers cannot even see and touch the merchandise, and they try to sell items that have nothing in common with the original description. 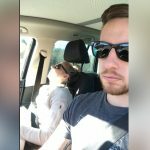 This woman’s daughter learned that the hard way, but at least the caption is hilarious. This person has a huge point. The trends often defy any logic behind the clothes’ initial purpose, and the cutouts in a sweater are the perfect example. 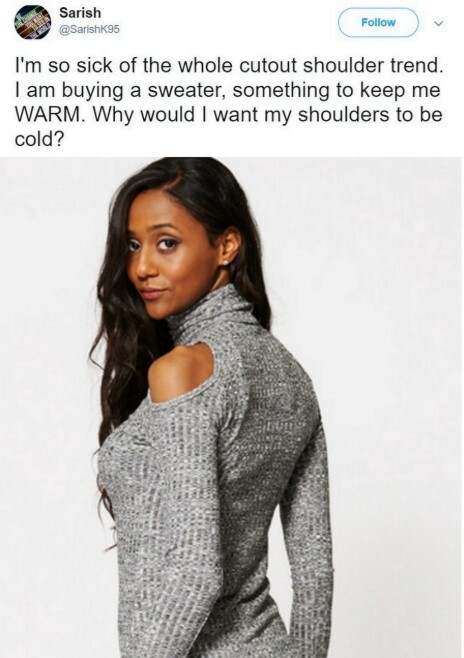 Why would anyone cut out the shoulder or elbow part of something that is supposed to keep you warm? It just does not make any sense. 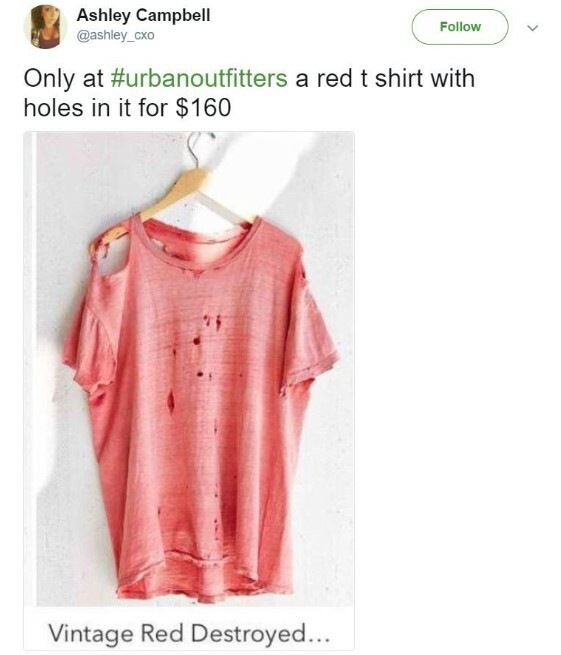 We are getting tired of seeing people wearing clothes that look like they have just been pulled out of a dumpster! There used to be some originality about this trend, but it is long gone by this point, and since everyone is doing it, we suggest moving on to something else, and preferably more aesthetic. Nobody would expect to buy two different products from the same brand and size and find out they are totally different in actual size. This would have never happened a decade ago, but such cases are pretty common these days, unfortunately. The reason is unclear, but we are not happy about it. 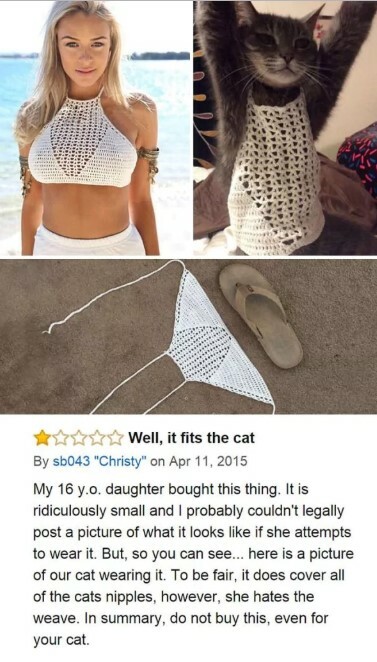 This is kind of hilarious, but the woman does not look too happy about her new top. 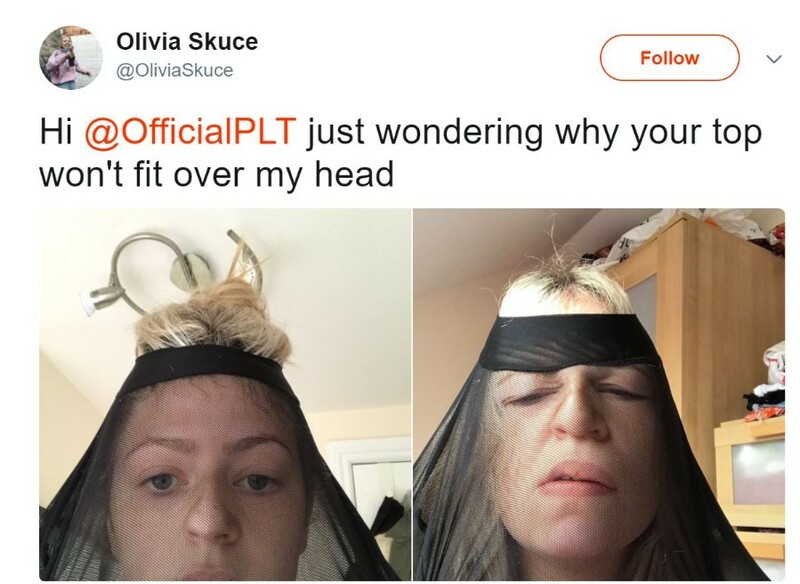 It is clear that she is not able to put it on, since the head opening on it is extremely small. Such unrealistic body standards are applied often, and this creates a lot of unsatisfied customers. 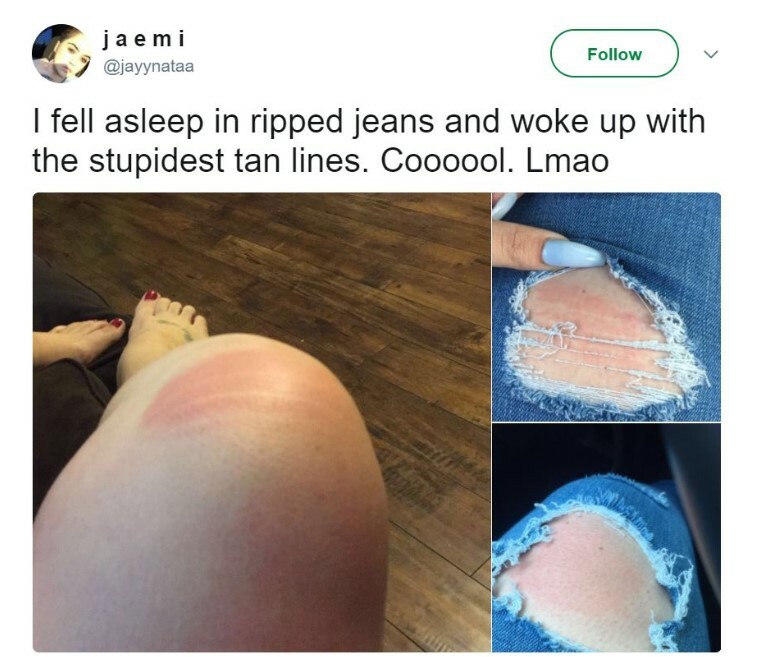 Except from looking ridiculous, ripped jeans have a flaw that many people discover the hard way in the summer. You see, if your skin is exposed in different spots here and there, this where you’ll get a tan after spending time in the sun, and you’ll end up looking like the girl pictured here. 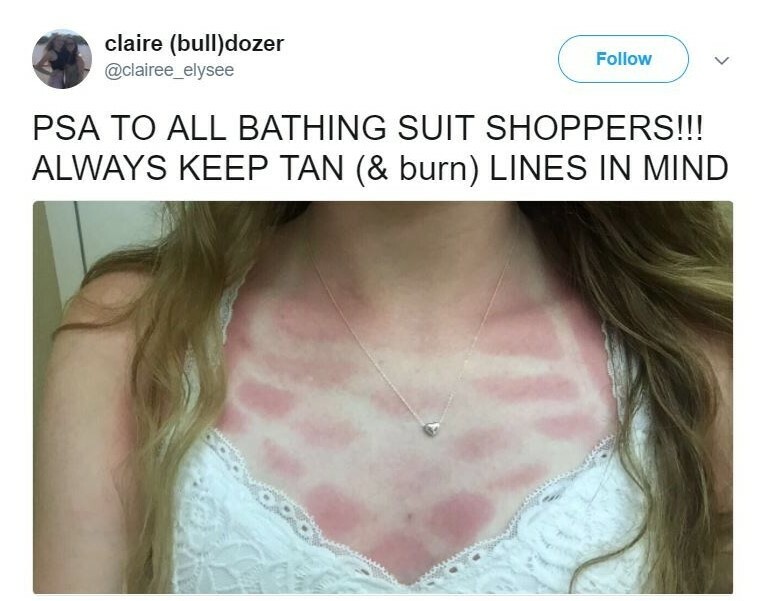 You need to keep in mind that if your outfit features strange lines, lace or other pattern, you sunburn marks would be rather interesting! You need to be careful and apply sunscreen before you head out, or you will surely suffer the consequences. This is probably the most honest clothing display you would ever see! Most girls are aware of what happens when they put on a tight dress without straps. Soon or later the dress would eventually slip down, and you better be prepared for that moment. This is a struggle for most girls with bigger breasts than the ordinary. Wearing a regular shirt is always a challenge, because no matter how well it fits, the front side will always look like it is about to burst all the buttons any second. 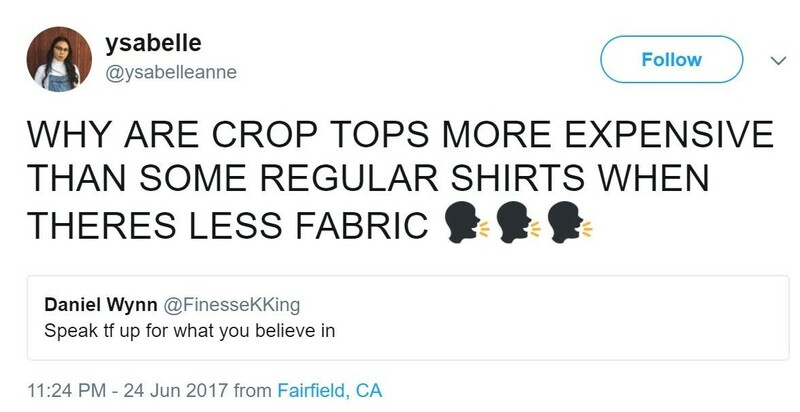 In most cases crop tops are actually more expensive than the full-size shirts of the same clothing brand. There is no rational explanation for this, since there is less fabric in the crop top compared to the shirt. Clothing companies are really ripping us off. 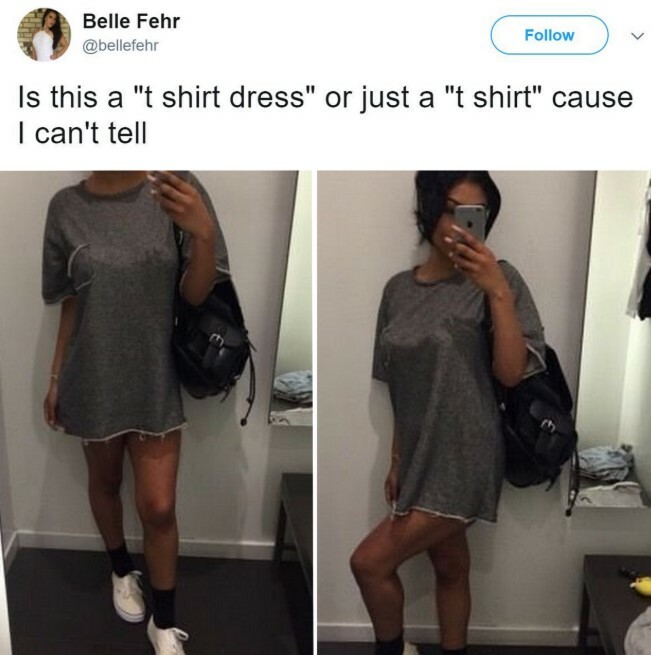 When it’s warm outside, most girls start wearing a weird piece of clothing; it looks like a long T-shirt, but it is supposed to be a short dress, and we cannot tell the difference. 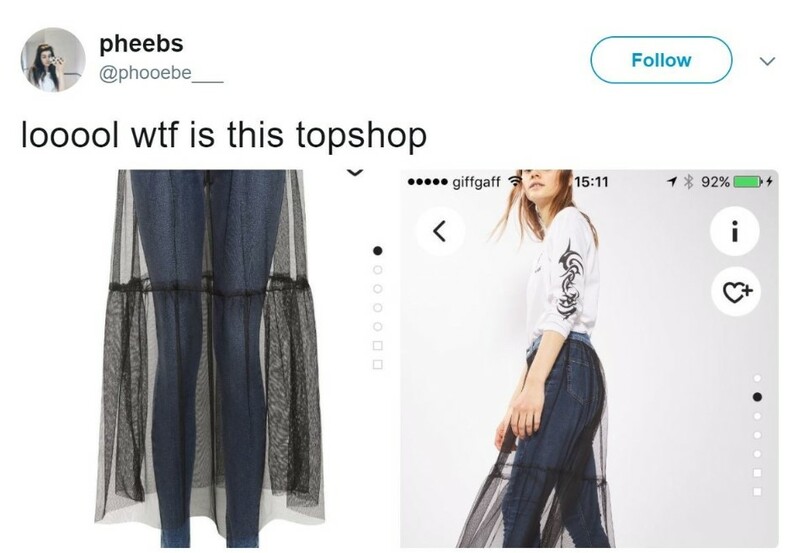 Ripped jeans come in all kinds of variations, but this is utterly ridiculous. 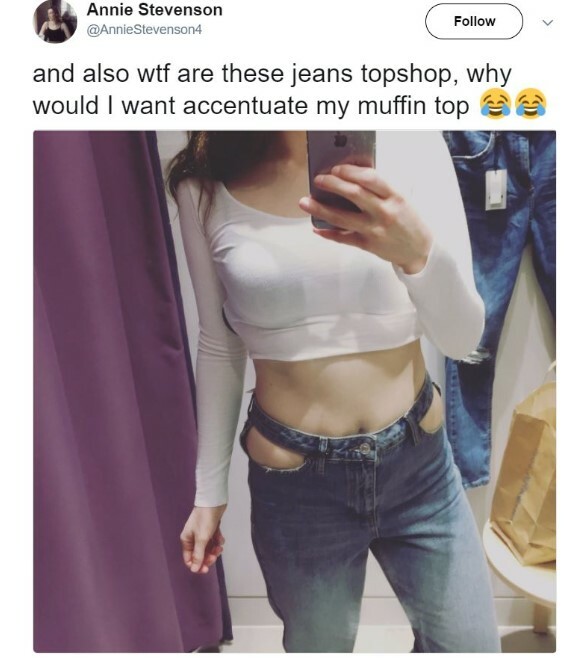 The accent of the ripped parts is right on the love handles, and we cannot believe somebody would wear those.